Ok, so being that I do Switching all day, every day, and I am limited to $1500 a year for training, I have opted to do the CCNP Route Course from CC Boot Camp On Demand Course. 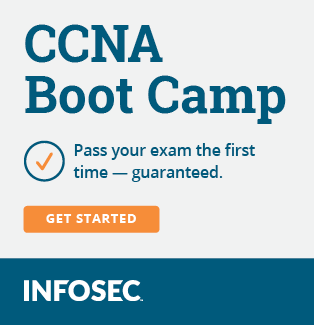 I did my CCNA Security from them and did great on the exam. I will give regular updates as I go. Good luck! If it's anything like BSCI that test is a beast. Well, I am on my last chapter for the On demand learning from CC Boot Camp. Long story, I got to work with Scott Morris and Keith Barker last weekend. They were contracted to come out and assist with installing new NAC equipment into our network. I gotta say, that they are not only both industry leaders, but the most personable and nicest guys around. My past interactions with CCIEs were terrible, as they came across as jerks. But, in speaking with them, I was advised that CC Boot Camp in Vegas has had there Cisco Accreditation Pulled. From my understanding, it was due to people there helping students out "A little too much" with the CCIE written exam. 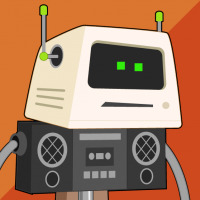 With that said, both Scott and Keith are developing their own Courses, both in class and on demand (copperriverit.com) and they should have the CCNP courses finalized by the end of the year. Plus price comparison is HUGE. CC Boot Camp is $1300 per module, Copper River is $600. SO.............. I will be doing the Switch and TShoot through Copper River. And, I will do an end of course review for CC Boot Camp and reviews on the Copper River. I do believe I am going to eat crow, as I said I would NEVER go for the CCIE. But, after working with Scott and Keith, and pushing from my team lead, I think that 2014 will be the beginning of the CCIE road for me. Good choice and good luck....all that is required to pass ROUTE is time and study. If you are able to go to a bootcamp, then great but it can be passed using self study. The OCG and FLG for ROUTE will get you there. ROUTE is a hands on exam aside from the planning and implementation topics. If you can lab anything off the blueprint from memory (and not tab complete everything ) then you will definitely pass. Boson EX-SIM max is very helpful as well. The key to ROUTE is understanding why the technologies work and not just remembering the commands to implement them. Spend a lot of time in debug and dissecting each protocol. The more variation you introduce into your lab topologies, the more comfortable you will be on exam day. I really enjoyed route. Lots of material, but it's all good stuff. I think that's part of the problem with the material now. With so much material to absorb and learn - which I believe is little compared to the IE-level... I don't have the real physical stuff beside me, buzzing away, blinking, and making my office feel like a sauna. It's hard to get excited when I think that way. So I try not to think of it that way. I'm a hands on learned by heart. Give me the A+ book to read, i'll sleep through it. Give me a computer to look at, i'll recap that mofo, use a dremel to create a PSU extender cable, and open up harddrives so I can examine the way it works.